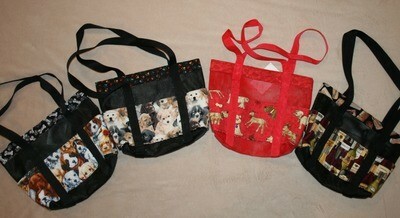 Earth friendly Pet Screen purse with 6 outside pockets and velcro closure. It measures 13" wide X 9" long. They are sturdily hand crafted and will prove to be very useful in your daily activities. You can use anywhere. From shopping to going to the beach.